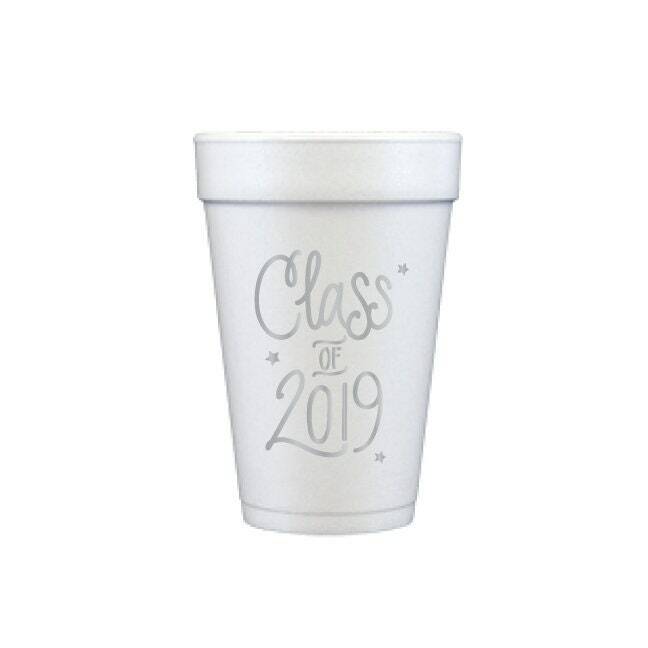 "Class of 2019" Styrofoam Cups for your Graduation Parties! Hand lettered "Class of 2019" printed in metallic silver ink! Printed in Metallic Silver - perfect match for any napkin printed with Silver Foil! Our Silver Ink Cups are In-Stock and ready to ship! Matching Napkins, Stadium Cups, Reusable Cups and MUCH MORE!